For many Americans, the year 1929 symbolizes the closing of a decade of change and the onset of the Great Depression, the longest economic downturn in the history of the United States. 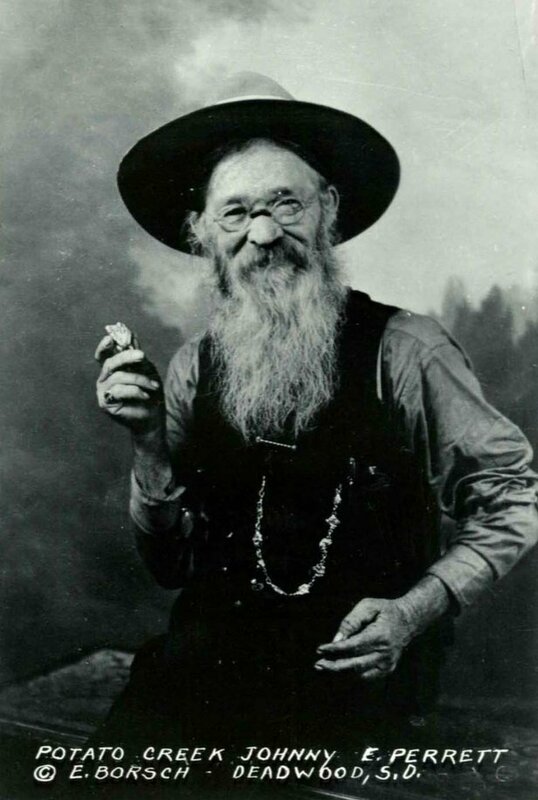 However, for Black Hills legend Potato Creek Johnny, 1929 signified fortune, fame, and an improved life status due to a magnificent find—a gold nugget weighing approximately 7.43 troy ounces. 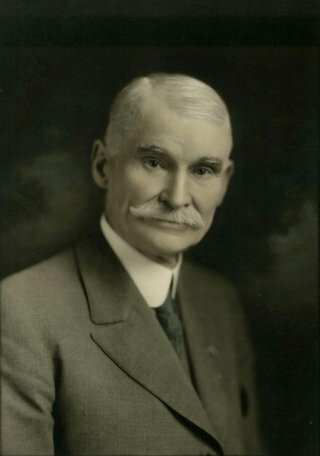 All Images Courtesy: Deadwood History, Inc.
Long before finding the nugget that would change his life, John Perrett immigrated to the United States from Wales in 1883, when he was 17 years old. 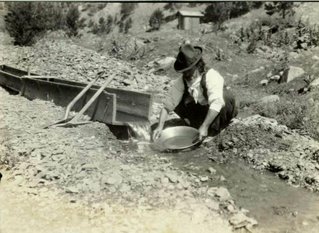 Soon after, Perrett made his way to the Black Hills, working several odd jobs before becoming a placer miner full time. He began working a claim on Potato Creek, part of the larger Spearfish Creek. Hard times were predominant for Perrett in the ensuing decades, working long hours with often meager results. At the time, mining had transitioned into advanced technology, and typically only the larger mines with larger equipment were producing large quantities of gold. 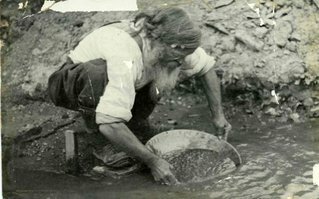 Despite a lack of advanced technology, Perrett held out hope that he would discover gold. He met and married Molly Hamilton of Belle Fourche in 1907. Unfortunately, the marriage was largely unhappy; the couple fought often and never had children. After twenty years of marriage, they divorced in September of 1928. Recently divorced, desperately poor, and after mining in the area for over forty years, Johnny’s life changed drastically on May 27, 1929. The nugget he discovered is over four inches long, resembling the shape of a woman’s leg. Almost immediately, the size, shape and features of the nugget led to criticisms. 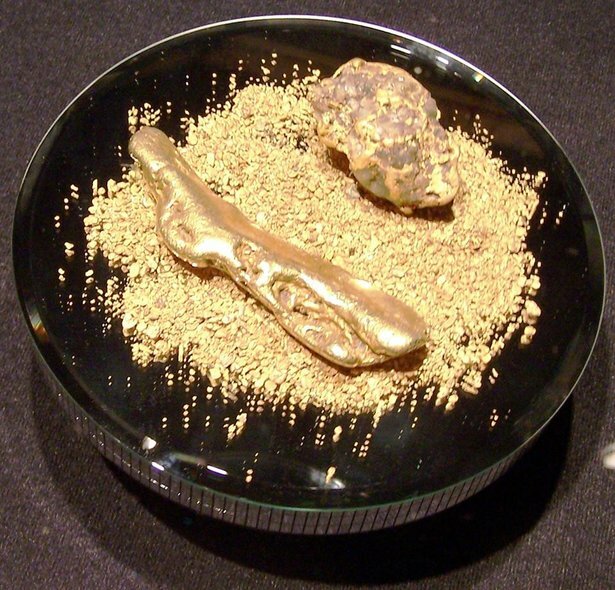 Many locals believed that the nugget was formed from gold melted down and formed into one cluster, which Perrett was attempting to pass of as a natural formation. Even worse—many believed Perrett had stolen the gold needed to create such a large piece. Despite an aura of disbelief that surrounded both Perrett and his gold nugget, he became an instant celebrity in Deadwood. Quickly dubbed “Potato Creek Johnny” due to the claim where he located the nugget, the 63 year old Perrett became a featured member of the local community. In 1934, he sold his nugget for $250 dollars to pioneer businessman W.E. Adams for inclusion in the newly constructed Adams Memorial Hall, where it was kept in a secured vault and a ceramic copy put on display. Perrett had a large personality, which at times seemed to overwhelm his 4’3” frame. 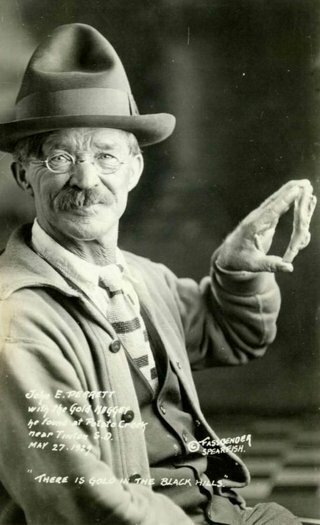 After the discovery of the gold nugget, the Deadwood Chamber of Commerce quickly recognized that Perrett would fit in well with their plan to attract new tourists to the area and began utilizing him whenever possible. Johnny’s physical appearance also fit with the stereotypical image of a pioneer prospector and he played into this image by keeping his hair and beard long and dressing similar to early day placer miners. 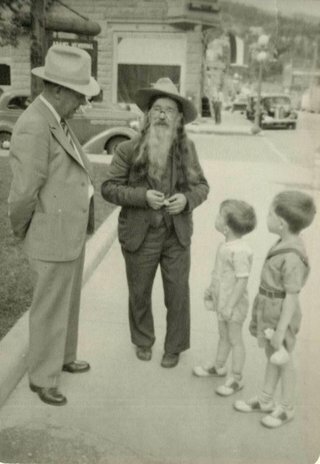 He was often featured in the Days of ’76 Parade and Celebration in the 1930s and ‘40s, where he would sign autographs and demonstrate gold panning for tourists. Visitors were welcome at his cabin, where he regaled them with tales of Deadwood as a mining camp while he panned for gold. When asked about his incredible find, he often responded that he had been looking for the rest of the leg ever since. 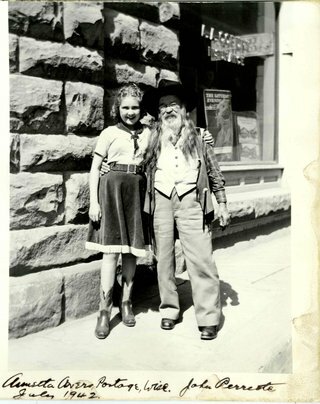 He traveled across the U.S., representing Deadwood, and was featured in Life magazine. Potato Creek Johnny passed away at the age of 77 on February 26, 1943. 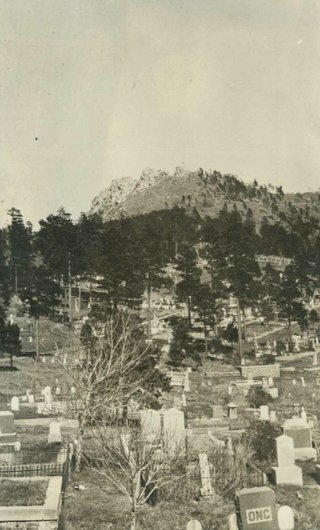 He was buried alongside other Deadwood legends, such as Calamity Jane and Wild Bill Hickok, in Mount Moriah Cemetery. His legacy continues to thrive, inspiring paintings, stories, and poems. 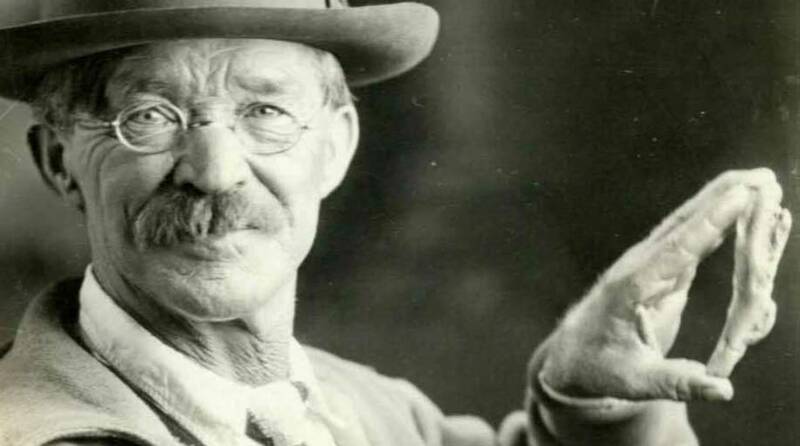 He is mentioned in numerous books, publications, and articles relating to the Black Hills and is included in the ‘Legends of Deadwood’ exhibit at the Adams Museum. The historical importance of the nugget and its finder is without question. 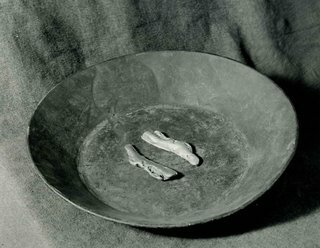 The gold nugget has been recognized as one of the most quintessential and important artifacts in Black Hills history, and in the Adams Museum collection. 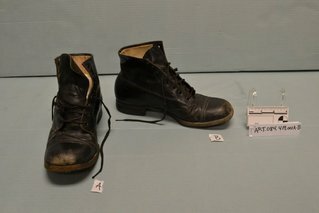 Despite its importance, for decades the artifact was displayed infrequently or a copy placed on display. 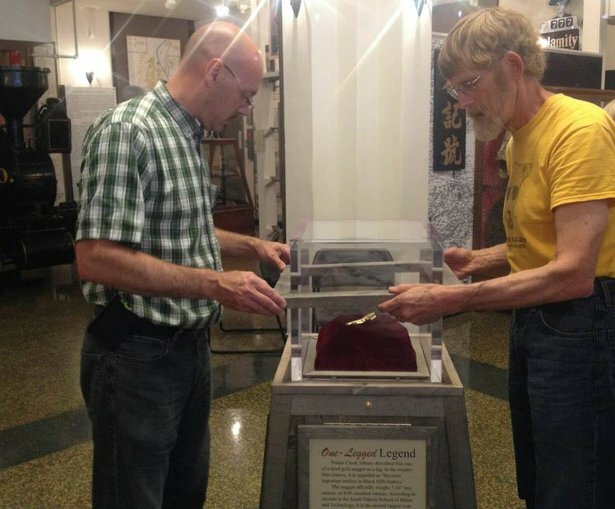 In recent decades, staff recognized the importance of putting this item on permanent display to help illustrate the Black Hills story. A replica of the original nugget was created because of a 5.27 troy ounce nugget discovered in 2010, named the Icebox nugget. 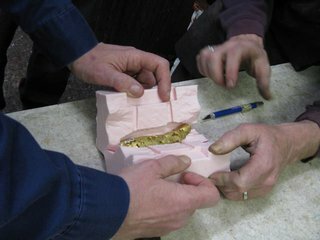 Placer gold found at the same site as the Icebox Nugget was melted into a replica of the PCJ nugget, which was donated for auction by the Rapid City Clock Shop. The proceeds of this auction were split between the Wounded Warrior Project and funds to build a permanent, secure display case for the original nugget. The nugget opened for permanent display in June 2014, where it is visible on the main floor. 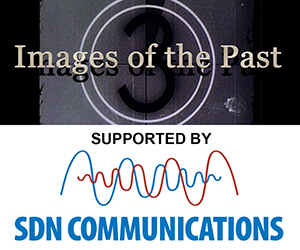 Educational Resource: Activity Idea Stereotypical Images - Your students will participate in an activity in which they will contemplate stereotypical images and preconceived notions. 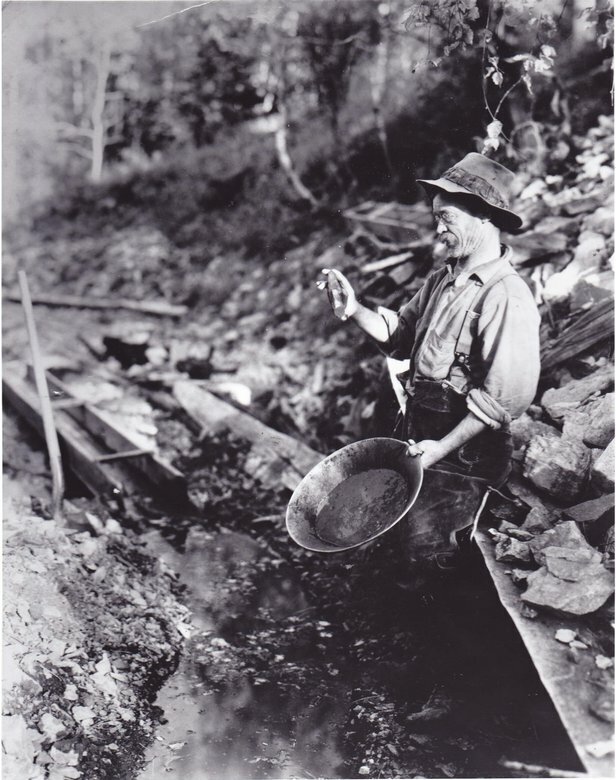 Then your students will learn about Potato Creek Johnny (John Perrett) and a life changing gold nugget he found on May 27, 1929.